What does it usually take to implement new protective technologies? It takes understanding of the threat model, a reliable solution, and approval from the budget holders. To get this approval you usually need to explain how an innovation will affect your business: its benefits, basically, preferably in terms of monetary value. That is why we are announcing a new security solution for ATM protection that has monetary benefits everyone can clearly see. How do cybercriminals usually liberate money from an ATM? Cutlet Maker and WinPot attacks require the attacker to open the ATM door and connect a laptop to the ATM’s USB port. We have seen cases of malefactors literally drilling into an ATM to connect their equipment to some technological bus connector, or plug in some hacking equipment. Finally, criminals can actually steal the ATM and try to break into its cash cassettes somewhere safe. The common part of those methods is that they require physical access to the internals of the machine. That is why we decided to add an additional layer to existing security solutions: a physical layer. How can we protect an ATM on a physical level? Maybe we can make it stronger. However, that would only slow the criminals down, and, perhaps, scare away some newbies. No, hardening the shell is not a good solution. It is better to add something that will actually drive criminals away from the ATM. Something cybercriminals do not expect to see inside an ATM. That is why we invented the Bee-Hive-oristic engine. The Bee-Hive-oristic engine is based on time-proven apiculture technology. Have you ever seen someone try to rob a beehive? Usually you can see them running away — quite fast. With the Bee-Hive-oristic engine, we combine an ATM’s internals with the honeycomb, all in one box. 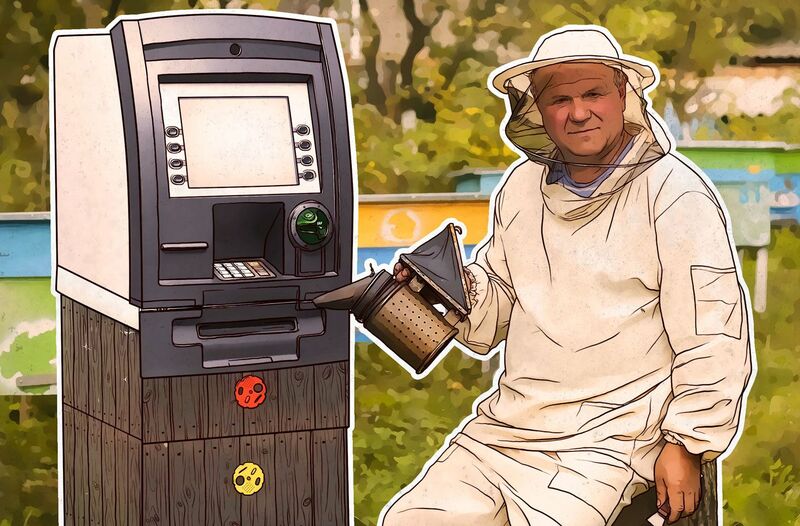 To get to any ATM’s connectors or cash, malefactors will first need to remove honeycombs, and bees are not going to like it. Of course it is not that simple. To effectively use Bee-Hive-oristic technology, you need qualified personnel for maintenance operations and cash-in-transit services. That is why together with launching solutions based on this technology, we will also start online courses for security beekeepers — probably on our ASAP platform. It’s true educating employees costs money, but in return you will get benefits such as honey, propolis, and beeswax. You can sell the honey as-is or pack it into branded cans and use as an additional value for your customers. Propolis is a valuable component of many traditional medicine recipes. As for beeswax, you can make candles with it, and use them for lighting of your office, thus saving money on electrical bills. Also think about the reputational gains of having hives inside your ATMs. Nature-friendly technologies are at high value now. Combined with Kaspersky Embedded Systems Security this technology will keep your ATMs safe on physical and informational levels.